Victoria's new Digital Technologies Curriculum is threaded throughout all subject areas at Derinya. iPads are used throughout the school from Foundation through to Grade 6 to support and enhance the teaching and learning process, with teachers maintaining a healthy balance between screen time and face to face contact. 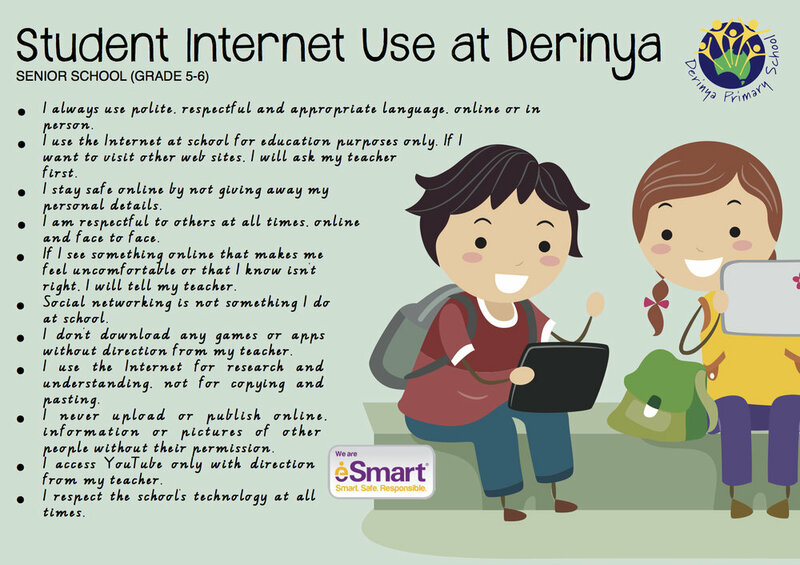 From Grade 4, students will have access to their own iPad via Derinya's Co-Contribution Program. 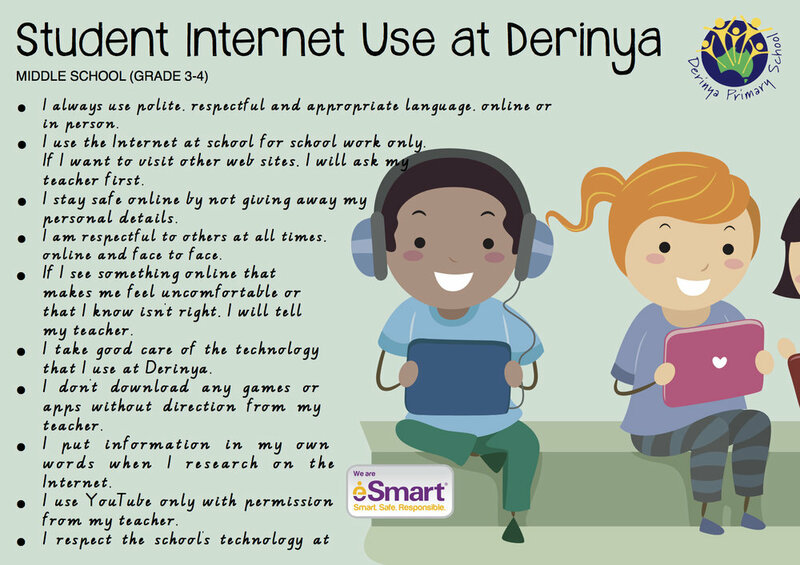 Our student guidelines for internet use are taught annually and revisited frequently. All students must agree to using technology in a responsible way. We are an eSmart accredited school and we take cyber-safety very seriously.